W.L. 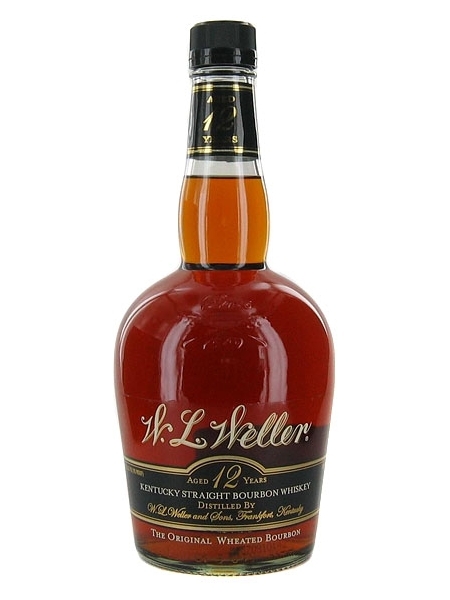 Weller 12 Year Old (~€50) is a wheated bourbon whiskey. Corn would still make up at least 51% of the mashbill, with wheat being the second most dominant grain, as oppose to the more usual rye. W.L. Weller is named after William Larue Weller, a distiller in the early days in Kentucky reputed to be one of the first to substitute rye for wheat in his mashbill. The brand is currently owned by Sazerac and distilled at the Buffalo Trace distillery in Frankfort, Kentucky. It is bottled at 45% ABV.